The most secure operating system as far as smartphones are concerned is iOS, and it is evident from the close environment that it offers you. That is exactly why you will need to source all your apps and games from the Apple App Store. You are not allowed to use other application stores. However, the official app store does not come with all the apps you have long been waiting for. What would you do in those circumstances? Perhaps, the APPVN is the right answer to your queries. Appvn is an alternative app store for Android and iOS. It is exactly where you can download thousands of apps, games and other requirements easily. In fact, it should be one of the rare app stores where you should be able to find even the paid apps for free. The alternative app store has been one of the most popular options for smartphone users, especially those on iOS. The app store is available for almost every iOS version right from iOS 4. Yet another option that makes it an excellent option is that the third party app store does not need you to jailbreak your iPhone. If you are on Android, you will be able to use the app without a need to root your Android. The APPVN app store offers you several advantages over the official app store. Of course, it may not be something you will replace your official app store, but what you can use to complement your experience on the official app store. The APPVN alternative app store is completely free to use and download. There are no charges whatsoever associated with the application. It offers you all the apps available on App store for free. Even the paid apps can be availed for free. You do not need to jailbreak your iOS, nor there is any need to root your Android device. The app store is compatible with almost all version of your iOS operating system. It supports even the latest iOS 11 or 12. You will also have access to the eBooks and TV shows. You can also check out the modded or hacked games and apps from the store. The modded apps give you access to a few extra added features to your apps. The procedure to download APPVN for iOS is rather easy and simple to follow with. We will share the installation file for the IPA so that you will not need to go through a complicated procedure for downloading the software. You can download the APPVN IPA from this link. You should find the Install dialog box on your iPhone. Click on it, and you will be taken to the installation screen. Once the app is installed on your device, you will need to trust the app; else it will crash repeatedly. Locate the profile related to the APPVN app store. Click on Trust to enable the app. You may need to trust this twice. Follow the on-screen instructions. Launch the app on your iPhone. Swiping right, you should find the option for the Settings at the bottom. Launch Settings and click on Language. Configure English as your preferred option for the language. That does it. You have successfully downloaded the APPVN app store. Enjoy unlimited apps and games for free, even if they are available as paid apps on the official app store. You can even check out a few modded or hacked apps with an added advantages and features. 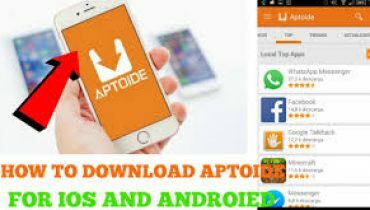 How to Download APPNVN on Android? Downloading the APPVN app store on an Android should be much easier than on iOS. However, please note that the app is not available on the Google Play Store and you will need to download it from the third party sources. You should find the option Download Appvnat the top right corner. On the next page, click on Install Now. This should download the app APK. Save it at an appropriate location on your phone. Once the download is complete, tap on the APK file you just downloaded. The installation will now begin. If you have not installed any APK file before or have not installed any third party app other than from the official app store, you may need to enable the UNKNOWN SOURCES. The installation should be completed within a few seconds, and you are ready to use the app. Is APPVN App Store Safe to Use? Well, any app or game downloaded and installed from the third party sources is likely to have issues. However, the APPVN APK we have listed above comes from the official source and is offered by the developers themselves. We tested it on our devices before presenting it to you. There are no issues associated with the app store. You will find no virus or malware infections associated with the application or its APK. Even the apps that it hosts on the platform are checked out for an enhanced performance.